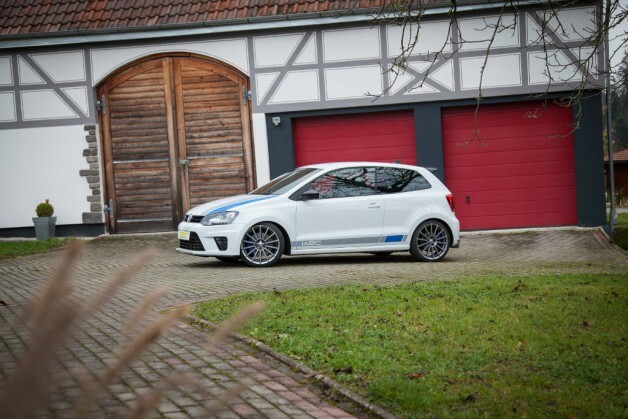 Even for the 220 hp VW Polo R WRC Street with a limited edition of 2.500 copies, ST suspensions has developed coilover kits. 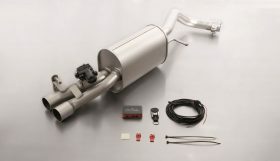 The ST X with a factory pre-set damping, the ST XA with adjustable dampers and the ST XTA coilover suspension including adjustable support bearings and dampers allow a continuous lowering of up to 30millimeters at this special model. 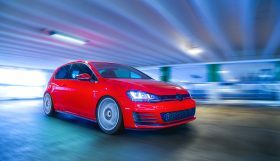 For the same price, the ST suspensions coilovers manufactured from KW are also available for the VW Polo GTI and the “regular” Polo variants; but here, a maximum lowering of up to 65millimeters is possible. 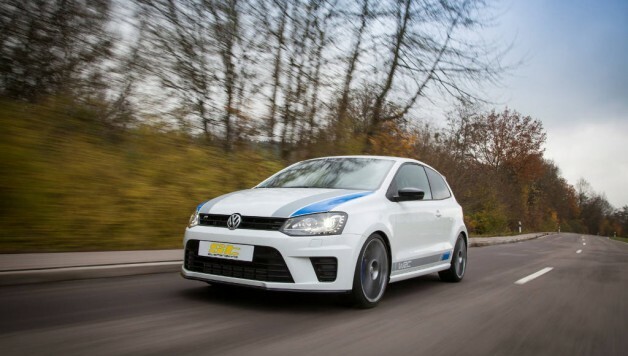 With its engine power of 220 hp, the VW Polo R WRC Street is superior even to the new Polo GTI; although this one will be launched next February with a performance update for the 30th anniversary of the Polo G40 in its fourth generation. As one of the few suspension manufacturers ST suspensions already has its new ST X, ST XA and ST XTA coilover kits available for the Polo R WRC Street that is very popular in the performance aftermarket and is already sold out today. While these ST coilover kits allow a continuous lowering of up to 30mm at the already from factory lowered Polo, for the Polo GTI and other models of the Polo 6R-series, a lowering of up to 65mm is possible. The adjustment of the lowering is made either at the front axle via the ST trapezoid thread of the several times refined and sealed steel strut or at the proven ST rear-axle height adjustment. 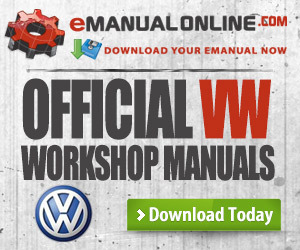 Without restrictions on the driving dynamics, it is possible to adjust the lowering of the current Polo models between 20 – 50millimeters at the front axle. At the rear, the axle geometry allows a lowering of the body centre of gravity by 40 – 65millimeters. 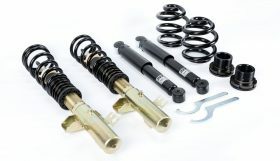 For the special model that is already lower from factory, the ST coilover kits allow an additional lowering of 5 – 30mm. The days when a coilover suspension was harder than a conventional suspension kit, are long gone. By using shorter damper housings, the spring travel can even be up to one centimetre longer than at the standard suspension. So despite the lowering, there is enough comfort in everyday life. In addition, the ST coilover kits for the Polo have a suspension setup that was determined in numerous road tests and long-term tests, that provides a more direct handling and better grip at a sporty driving style. While the ST X coilovers have a factory-fixed damper setup, the damping forces of the ST XA and ST XTA can be set more comfortable or tighter. 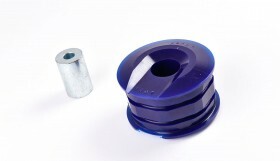 The adjustable aluminium Unibal top mounts for the front axle, are always included in the delivery content of the XTA coilovers. By changing the camber angle, the tires get an optimum contact area when cornering ideal for drivers who want to get the maximum performance for their Polo. 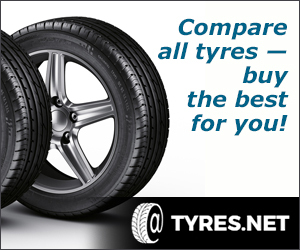 The recommended retail price at ST suspensions is mainly differentiated only by vehicle class. So a ST coilover kit in the respective vehicle category always has the same price.